Careful and meticulous, the Owl always wants to do things the right way and is motivated to follow your directions. Owls seek to please and want to understand and learn the rules. As their partner and coach, it's up to you to teach these rules. To help you learn how to speak to your Owl about the potty, we've put together some simple potty scripts. Awesome job on the potty. Let’s get your sticker for your chart. Then, it’s time for the park! See how your baby sister pees in her diaper? You do that too. 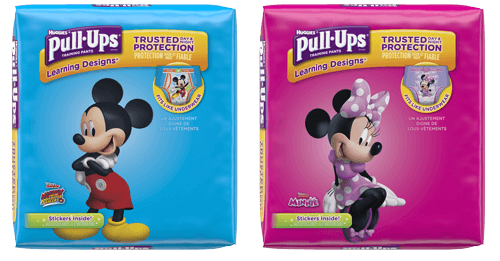 But now, you’re old enough to use Pull-Ups® and try the potty like a Big Kid. Want to show your baby sister how you’re working on using the Big Kid potty? Let’s take a look around the bathroom in your new preschool. I want to make sure you know exactly where everything is and how it all works in there. Let’s ask your teacher about it too. Good morning! I bet you have a lot of tinkle saved up. Let’s see how much you can make. Next time you poop in the potty, which kind of animal cracker will you pick for your treat? You were dry all week! After lunch, would you like to go to the store and pick out some Big Kid underpants? Shall we show your doll how to sit on the potty, and then you can put her on the potty after you go and pretend to potty train her? You went wee wee seven times on the potty today! Amazing! Let’s put it on your chart so we can see that tomorrow.